Schedule a professional stain removal treatment now! Book a professional stain removal treatment now! Call Us for Professional Upholstery, Mattress, Rug & Carpet Stain Removal Services in Auckland, North Shore, South & West Auckland. Accidents are bound to happen! But if you get a spill or stain on your rug or carpet, it is best to call a professional rather than a DIY trial and error experiment, which could end up making it far worse! The longer the stain sets, the more difficult it becomes to remove it without damaging the stained surface. If you wait too long before attempting to remove the stain, it may become permanent. 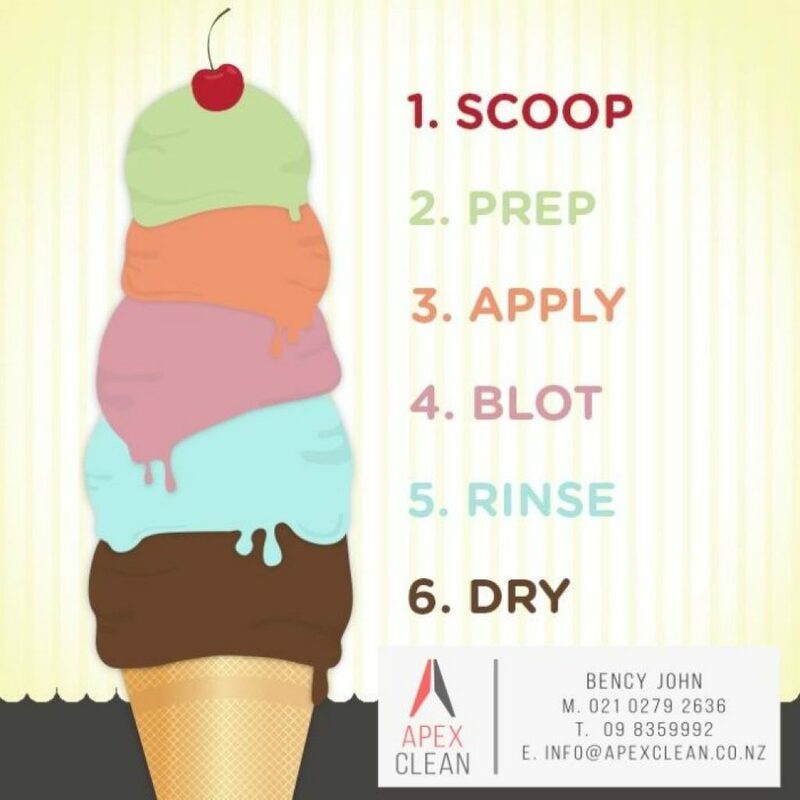 Call in the professionals at Apex stain removal Auckland. Apex-Clean is here to assist you in a professional manner and provide the best rug and carpet stain removal services though our home cleaning and upholstery cleaning Auckland experts. We have rigorously trained and highly experienced technicians in our arsenal. Our stain treatment include Carpet Stain Removal; Couch, Sofa, Lounge Suite & Upholstery Stain Removal & Mattress Stain Removal etc. Our Cleaning Technicians come fully prepared to deal with all common house spills, stains and more! Some stains, you may be able to deal with yourself, but most of the stains you may need to get a professional to treat. The steps that we follow is illustrated below in our “quick stain removal steps”. If safe, you may be able to do few of the flollwing steps as an aid, starting from step 1, 4, 5 & 6. Follwing these steps may help to prevent from some stains become permanant stains, while you’re waiting for your ApexClean technician. No one can ethically guarantee 100% stain removal, because no carpet or upholstery is absolutely stain-proof. But we CAN guarantee that our Technicians are well-trained and experienced to treat any stains and will try to do anything humanly possible to eliminate the stain. Spots and stains all around you? Give Carpet Cleaning Auckland & Carpet Stain Removal Specialist ApexClean a call for a free quote! General Tips: Clean up spills as fast as you can. Blot or scrape up as much of the spill as possible, blotting from the outside toward the center. 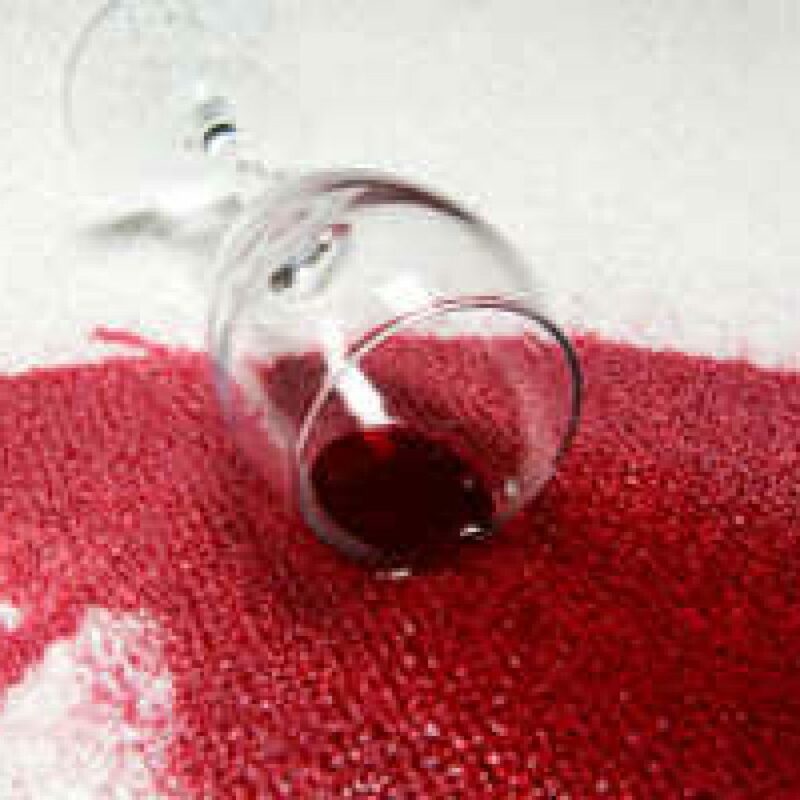 Test the stain remover on an inconspicuous area and wait 15 minutes to see if it damages the carpet color. After you clean the carpet, blot it dry and weigh down a small cushion of paper towels with a heavy object to soak up all the moisture. Don’t panic! Borax* – Use according to label directions. Borax can be toxic if ingested. Cold water or Club Soda: – Sponge stains immediately with cold water or club soda and dry with a towel. Repeat as necessary. Cream of Tartar and Lemon Juice: – Place cream of tartar on the ink stain and squeeze a few drops of ice on top. Rub into the stain for a minute, brush off the powder with a clean brush and sponge immediately with warm water, being careful not to saturate the carpet backing. Repeat if necessary. Isopropyl Alcohol* – Be sure to wear gloves and work in a well ventilated area. Blot rubbing alcohol onto stain. Vinegar and Liquid Soap: – Mix together 1 teaspoon of white vinegar, 1 teaspoon liquid detergent, and 1 pint lukewarm water. Apply this mixture to the non-oily stain with a soft brush or towel. Rub gently. Rinse with a towel dampened in clean water. Blot dry. Repeat this process until the stain is removed. Dry the carpet quickly using a fan or blow dryer. There is a chance that vinegar may bleach some dark, sensitive colors, so try it on an inconspicuous area first. Salt: – Sprinkle the area generously with salt. Allow the salt to settle for at least 15 minutes before vacuuming. Vinegar and Liquid Soap: Vinegar will kill the odor of urine and prevent staining if you can get to the spot right away. First absorb as much moisture as you can with dry paper towels. Next rinse the area with warm water and apply vinegar and soap solution into the stain using a clean cloth or paper towel and leave on for 15 minutes. Rinse with a towel dampened in clean water and blot dry. There is a chance that vinegar may bleach some dark, sensitive colors, so try it on an inconspicuous area first. Dirt — Brush thoroughly with a soft brush. Then sponge with mild soapsuds like Liquid dish sopas and rinse carefully with clean water, blot with an old towel. Grease — Sprinkle the spot with Fuller’s Earth (this is otherwise known as bentonite clay) and when the grease has been absorbed remove with a brush. Paint — Fresh paint can be removed by rubbing with a cloth wet in turpentine, gently scraping, then moistening the remainder with Vaseline. Wash out any remaining turps and Vaseline with warm soapy water then bolt with an old towel. Grass — Make a paste of cream of tartar and water and rub into the stain. When thoroughly dry remove from the carpet with a sponge wet in alcohol (vodka is ideal). Animal Stains — Clean at once and rub with a cloth soaked in weak ammonia solution (one part to twenty parts water) then absorb with a cloth or blotter. Chocolate — Sprinkle with Premium borax then spray with water until just wet. Leave for 15 minutes then remove with a cloth and cold water. When dry, if any borax remains, remove with a brush or vacuum cleaner. Red Wine — Blot stain with a clean cloth, absorb as much as you can. Mix 1 Tbs Premium White Vinegar with 1 Tbs dishwash liquid, dip in a sponge and apply to the stain, keep blotting and applying until gone. Coffee — Rub with glycerine (available from your chemist) and leave to soak for few hours. Sponge with warm water. Nail Polish — Sponge with acetone (nail polish remover). *Risk involved: It is best to leave stain treatment jobs to professionals like us, the above mentioned cleaning products or items may cause damage to humans, animals or anything it may come to contact with, so take extra caution and due diligence.